Membership Subscriptions for the Spring Term are now due. 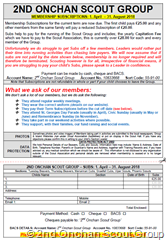 The first child pays £25.00 and any other members from the same family will pay a reduced Subscription of £20.00. 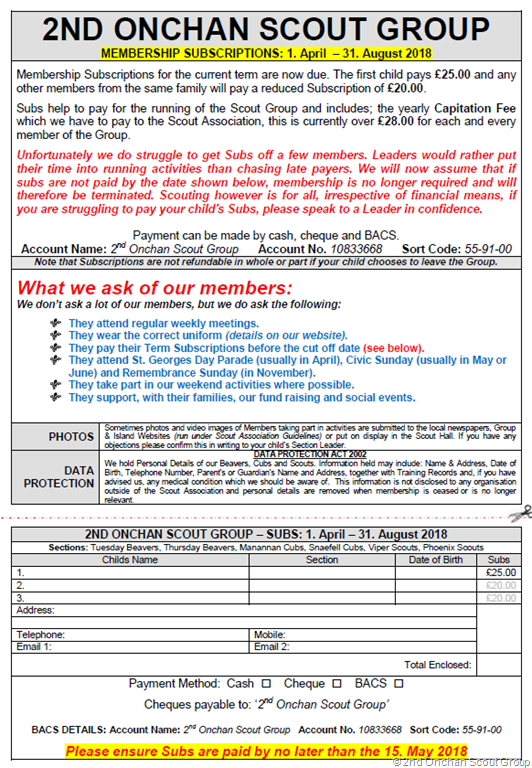 Subs help to pay for the running of the Scout Group and includes; the yearly Capitation Fee which we have to pay to the Scout Association, this is currently over £28.00 for each and every member of the Group. Please ensure that Subs are paid by the 15. May 2018.